Get mauled by this mythical beast donning limited-run clothes. 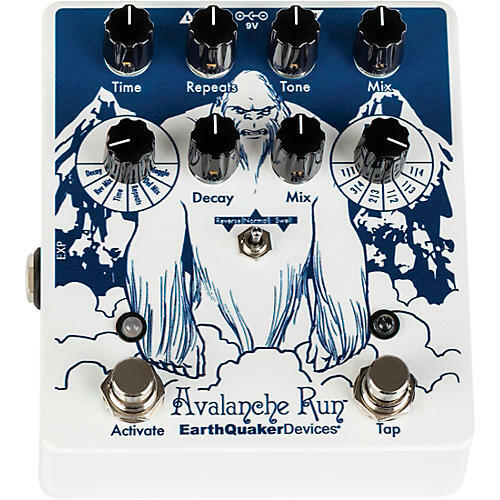 This extremely limited-edition run of the awesome EarthQuaker Devices Avalanche Run features custom artwork that'll add extra pizzaz to go along with the amazing tones from your pedalboard. Toggle- This takes over for the toggle switch and will cross fade from forward delay in heel down position to reverse delay in toe-down position.